Agnieszka Chacinska will be awarded the 2018 Theodor Bücher medal from FEBS at the 43rd FEBS Congress in Prague. Here she talks about the excitement of research, and the shifting of roles as scientific careers progress. Agnieszka Chacinska graduated in Biology, University of Warsaw, Poland, and in 2000 received a doctoral degree in biochemistry at the Institute of Biochemistry and Biophysics of the Polish Academy of Sciences. From 2001 to 2009 she worked at the University of Freiburg, Germany, as a postdoc and head of a research group. From 2009 she was based at the International Institute of Molecular and Cell Biology in Warsaw, where she was the group leader of the Laboratory of Mitochondrial Biogenesis and in 2014 received the title of professor. In 2017 she and her group moved to the Centre of New Technologies, University of Warsaw, where she is a Director. 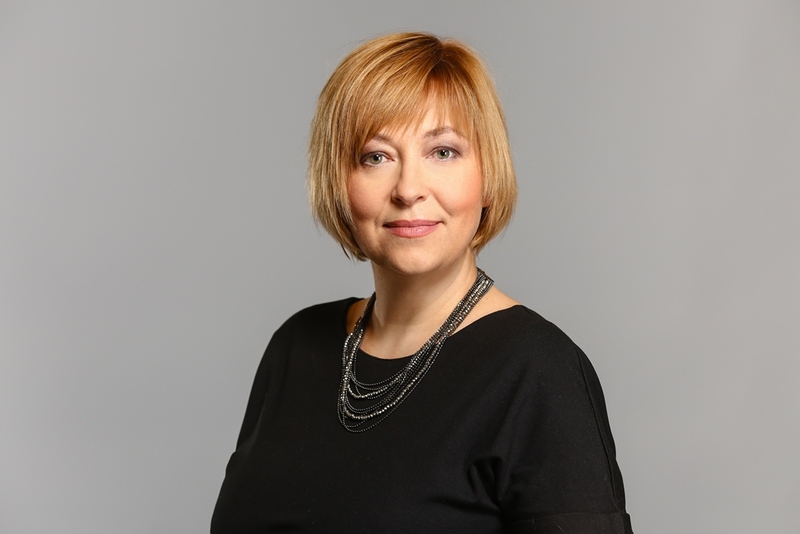 Agnieszka Chacinska is the recipient of multiple awards and prestigious grants, including the Welcome Grant of the Foundation for Polish Science. She is a member of EMBO and the Polish Academy of Sciences. I have no doubt that the most formative phase of my research was the postdoctoral stage, which I undertook in the group of Prof. Nikolaus Pfanner at the University of Freiburg in Germany. When I was deciding to go for a postdoc abroad, I was not certain about my future career steps. Do I want to pursue a scientific career in academia? I was asking myself this question, but at the beginning of my postdoc I did not have the answer. Actually, I acted rather spontaneously at that time, following my interests that brought me joy and excitement. And my postdoc stage was exciting and productive. Ultimately this stage was critical to my decisions and led to my development into a more mature scientist – and it was fun! What might a typical day for you be like at your workplace? However, my goal is actually to pass many admin duties to other people who support me in management by the realization of ideas to create a science-friendly environment. An environment that promotes freedom, creativity and collaborative research is really a core part of my vision aiming at the perfect scientific institution. I have been lucky to experience working in such environments throughout my career. I hope to come back a little more to the role of a lab leader – meaning to spend more time on discussions with scientists and lab mates as well as simply reading more and thinking more about science. I also like to serve the research community by reviewing papers and grant applications. Can group leaders still find time for hands-on research? Yes, but this is altogether not so easy, especially for those who are experimental scientists. When you just begin as a group leader, it is quite crucial to spend the time in the lab because you need to teach techniques, discuss, and just simply set the work style and work standards. Later on, many more people are interested in working in your lab and you want them to come, so you need to write not only papers but also grant applications, and reports and so on. Since you get the grants and publish you also need to pay back to the community and review others’ work. This is the time you slowly get detached from lab work. Other duties just take over. However, for me it is still satisfying to have discussions with younger scientists and to look at their data. The answer is very simple. There is a moment when the things and observations start to fall into a reasonable hypothesis or even a model. This is the moment I love. Proving this model is also quite exciting. And I am not really disappointed when the model is actually changing by the data we collect… It can even change quite completely and this gives us the chance to experience once more the excitement of creating a new model. In my case it is clearly a biological question. I am personally less interested in technological developments but I perceive and value them as a necessary feature to progress: I am aware that without new approaches and technology, some questions are not possible to answer, and that the spectrum of questions that can be productively and accurately answered expands with new techniques coming along. So, I try to encourage people in my group not to take me as an example and rather follow their own way, hoping that some of them will lean more towards technology so we can complement each other in our group. What do you consider to be the most important skills for molecular life scientists nowadays? In addition to intellectual skills and capabilities, you definitely need to have good communication skills that allow you to convey a message. When communicated well, your work is more visible to others in the community. Scientific leadership as an ability to convince younger scientists to follow and build further on your ideas is also in part based on communication. Management and organization you cannot avoid, but research tolerates some imperfections. Really the three most important features of a great scientist are courage, determination and creativity. Agnieszka Chacinska is interested in biogenesis, transport and degradation of mitochondrial proteins and their failure resulting in pathologies. Her research explores links between transport of mitochondrial proteins and cellular protein homeostasis that involve crosstalk between various cellular compartments and processes such as mitochondrial import, cellular protein degradation and protein synthesis.